White Trans is a dynamic, fast growing company which has been active on the European market since 1991. In 2000 it expanded the range of its operations by the addittion of freight logistics services and dedicated warehouse buildings (dry, refrigerated). The White Trans place of business is situated on the company owned and fenced premises at Velke Prilepy, only 3 km from the Vaclav Havel International Airport. It includes a modern administration building, storage areas, a well equipped service hall and parking places for trucks and coaches. The premises are under 24-hour surveillance by a video camera system.During the night the security is provided by security guards. At present we use Volvo and Mercedes Benz prime movers which are monitored by the GPS system round the clock. 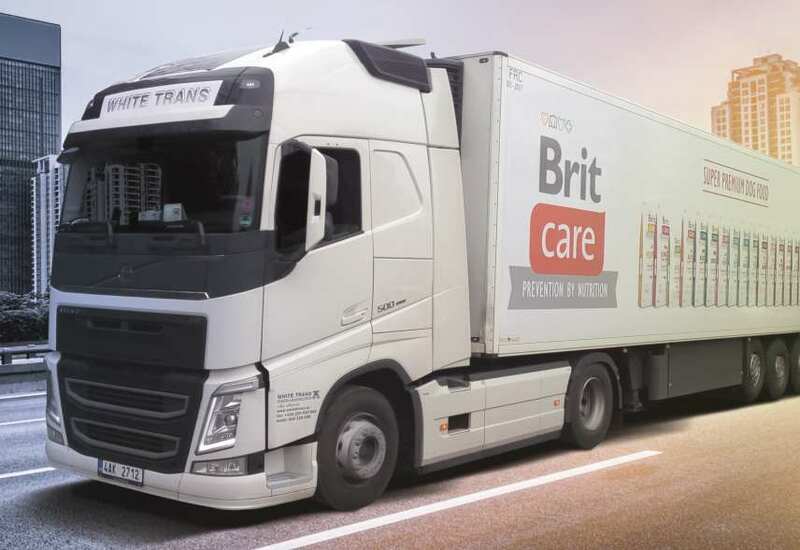 Trailers with the capacity of 66 Europaletts are able to transport frozen as well as dry goods at the same time, thanks to the use of partition screens.